Now that the lightweight and light heavyweight rosters for “UFC Undisputed 3” have been unveiled, it’s time to unleash the big dogs. On Tuesday, THQ announced the 16 heavyweights that will be appearing in the video game’s third edition. Good news for you Gabriel Gonzaga fans. 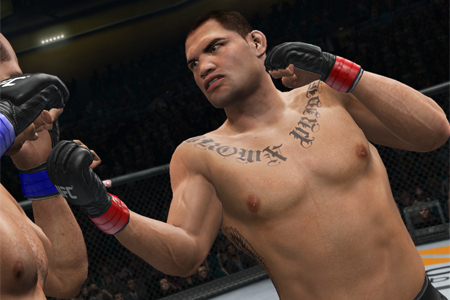 Although the former top contender was released by the UFC late last year, “Napao” is a playable character in the game. Gonzaga joins 265-pound champion Cain Velasquez (Pictured), Brock Lesnar, Junior dos Santos and more.